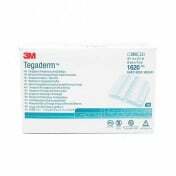 Tegaderm Absorbent 90802 Clear Acrylic Dressings are transparent wound care products. 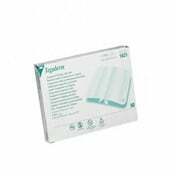 This bandage is designed with an absorbent acrylic pad. 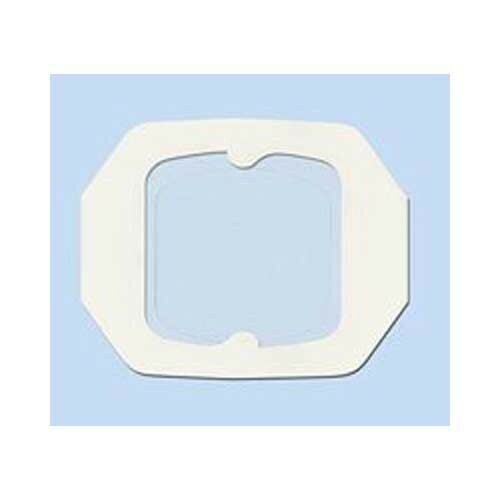 This is comfortable for the patient and is positioned between two layers of transparent adhesive film. 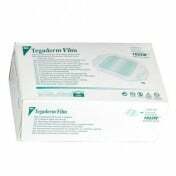 The acrylic pad absorbs exudate from the wound to maintain a healthy wound site. 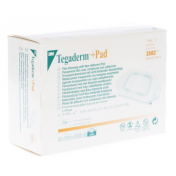 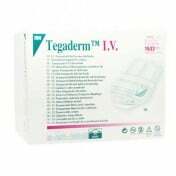 Tegaderm 90802 is internally perforated to allow the transmission of exudate from the wound into the absorbent acrylic pad. 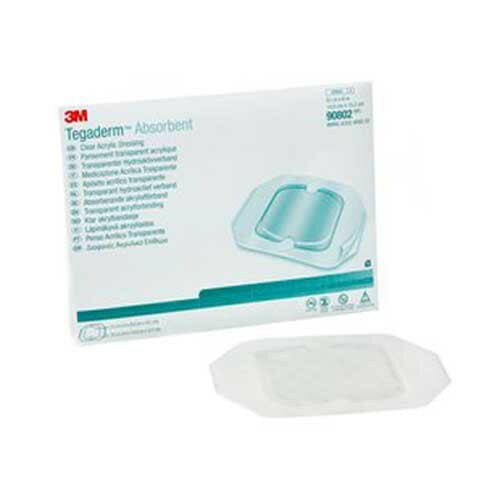 Manufactured by 3M, this absorbent adhesive bandage is transparent, offering visual inspection of the wound site without removing the dressing. 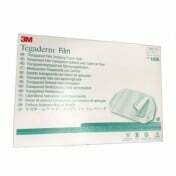 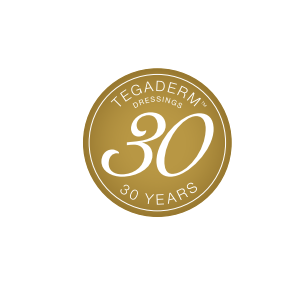 The Tegaderm 90802 dressing needs to be changed less frequently, resulting in less trauma to the wound site and for the patient. 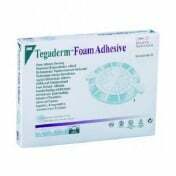 The adhesive is gentle to the skin and is hypoallergenic. 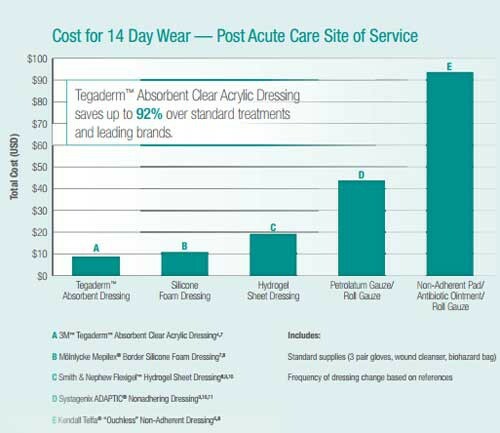 This advanced wound care product is ideal for pressure ulcers, skin tears, abrasions, donor sites, superficial burns and clean closed approximated surgical wounds and laparoscopic incisions. 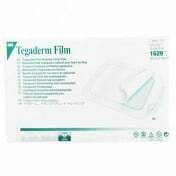 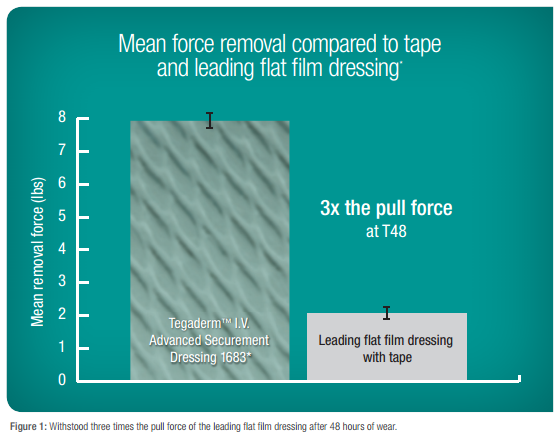 The Tegaderm 90802 Dressing offers many advantages over traditional bandages. 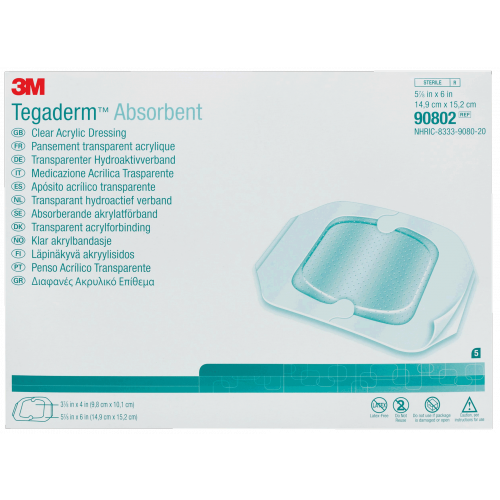 The full range of these absorbent acrylic bandages may be viewed at Tegaderm Absorbent Clear Acrylic Dressings. 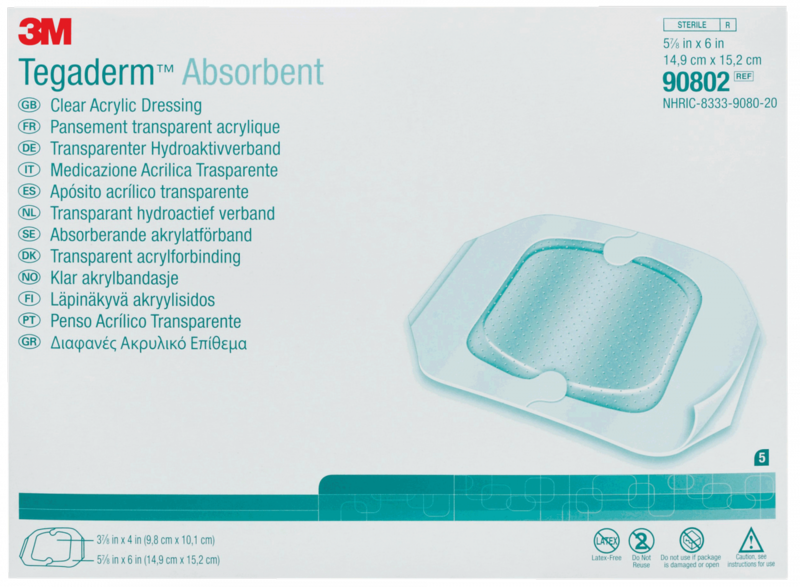 Vitality Medical carries many other absorbent dressings, including XtraSorb HCS, SofSorb, Viasorb and Eclypse. 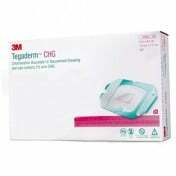 Patient-friendly adhesive offers gentle removal. 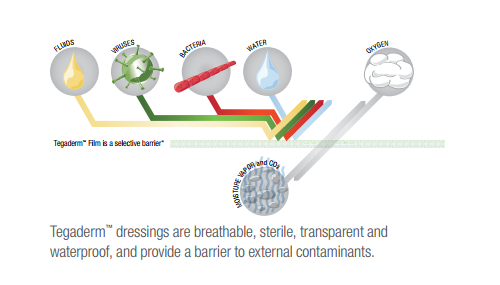 Clear acrylic dressing provides wound observation. 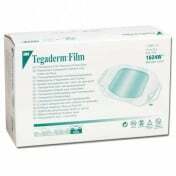 Transparent bandage requires less frequent bandage changing. 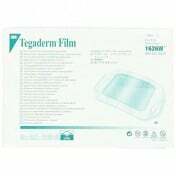 Dimensions: 5.8 x 6 Inch.